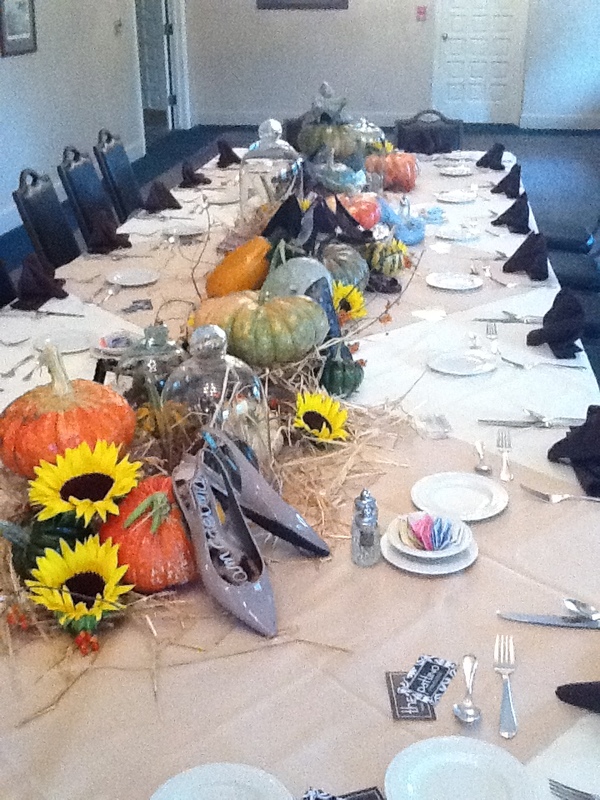 Here are some fabulous luncheon tables designed by Mike Hillis of Hillis and Company that paired Poverty Hills pumpkins with high heeled shoes. 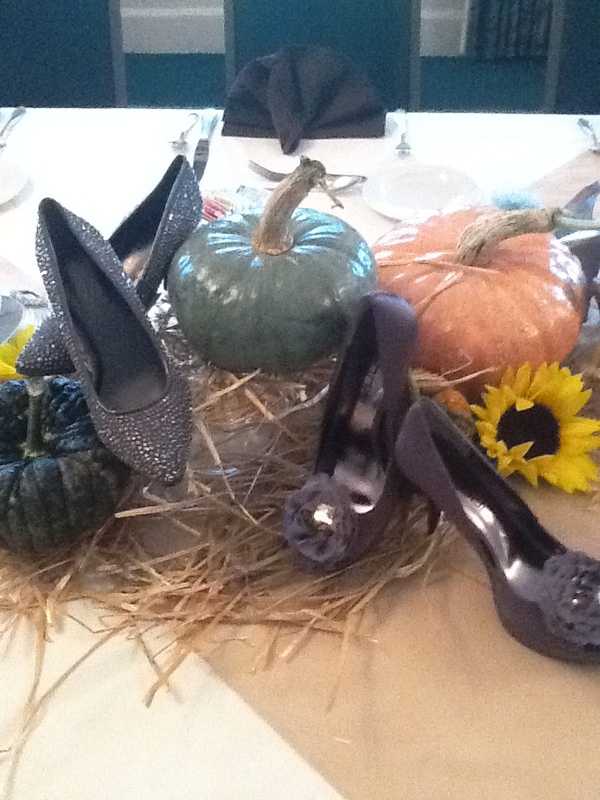 Isn’t it great how the soft greys in the shoes coordinate with the heirloom blues and corals of our patch? I love how the rustic straw softens the whole look, and how the sunflower blooms add a punch of color! I have to admit–I never in a million zillion years would have paired the two–but how fun is this? And this?! 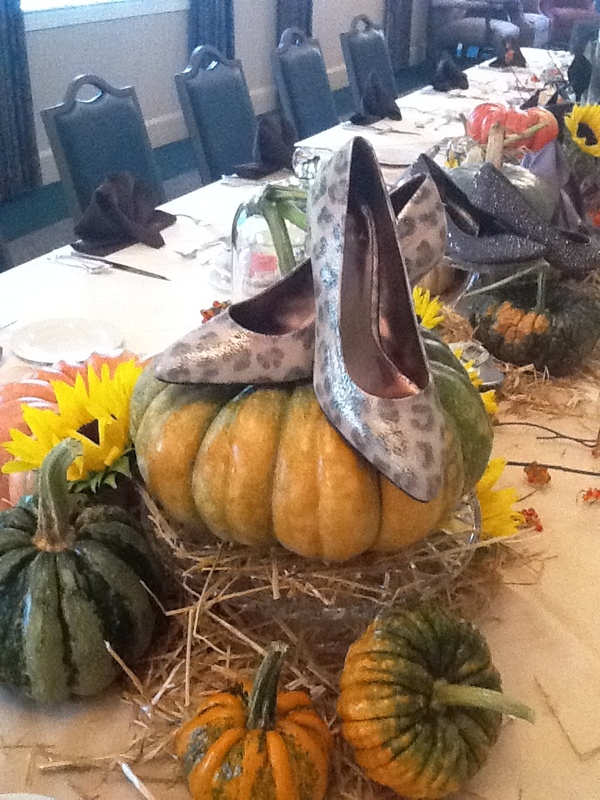 A whole table of shoes and pumpkins marching down the length of it!